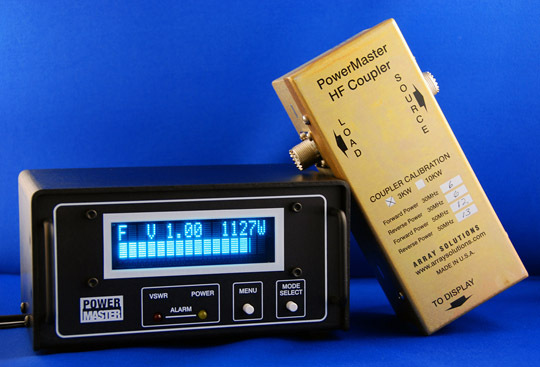 I’ve been a fan of the PowerMaster meter since I purchased an early model from Array Solutions. ArraySolutions has continued to improve the product. The case design show in the photo is the second design, as the early ones have mounting plates on them, for rack mounting. There has also been a series of firmware and software updates. I had put off taking the time to do the updates. A couple weekend ago I went through the process and found it easy. Download the needed files, run the update program with the unit hooked up to the computer and it is done! Added a number of Alarm features, some low power features, appearance features, and some minor updates. Also took the time to fine tune my personal settings. Took all of a couple minutes and greatly improved the unit!